The subject of data science is the design of automated methods to analyze massive and complex data in order to extract useful information. 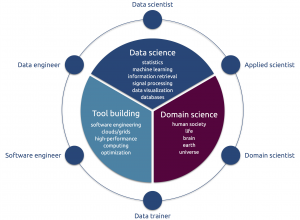 Data science projects require expertise from a vast spectrum of scientific fields ranging from research on methods (statistics, signal processing, machine learning, data mining, data visualization) through software building and maintenance to the mastery of the scientific domain where the data originate from. The Université Paris-Saclay is one of the largest research structures in the world, so it is not surprising that it has also one of the largest concentration of data scientists in public research. 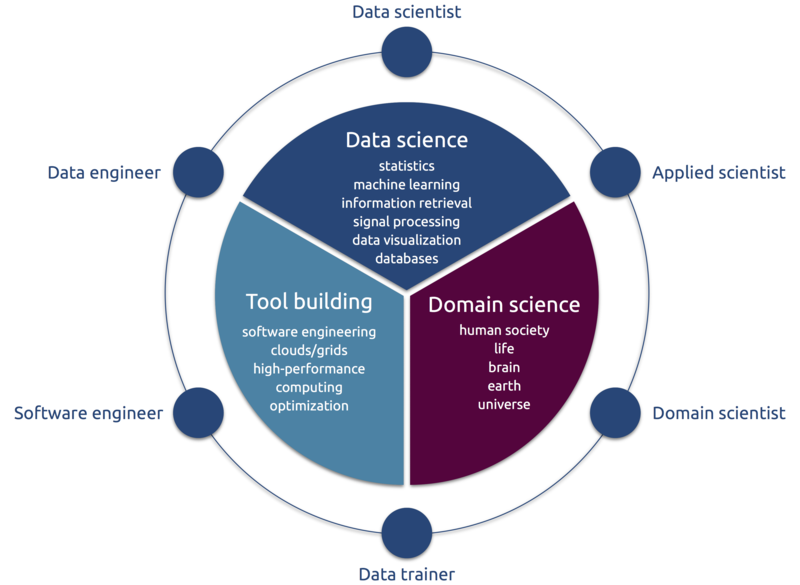 Of the 214 data science researchers affiliated with the CDS, 76 are active (participating in the steering committee, in one of the work groups, or in one of the funded projects).